Dr. Christopher Giza examines Kennedy Dierk, 14, at the UCLA Steve Tisch BrainSport Clinic. A new survey shows most parents rely on outdated advice when caring for kids with concussions. 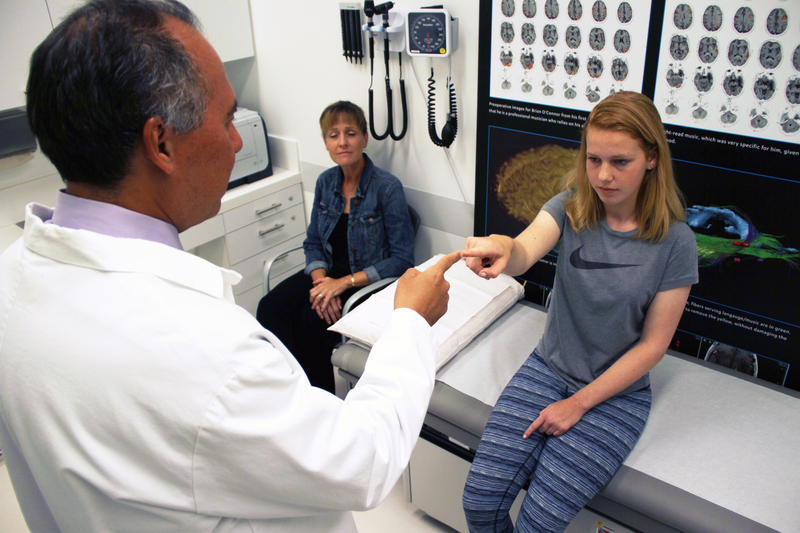 (LOS ANGELES) – A new survey reveals many parents would rely on outdated advice when caring for a child with a concussion, inadvertently making matters worse. The survey, commissioned by UCLA Health, asked 569 parents nationwide what measures they would take if their child’s concussion symptoms lasted for more than a week. More than 3 in 4 parents (77%) said they would likely wake their child up throughout the night to check on them — something doctors say could prolong concussion symptoms and slow the healing process. The survey also found 84% of parents would make their kids refrain from any physical activity. But experts say once symptoms like headache and confusion begin to subside, non-contact aerobic exercise can actually speed up the healing process. 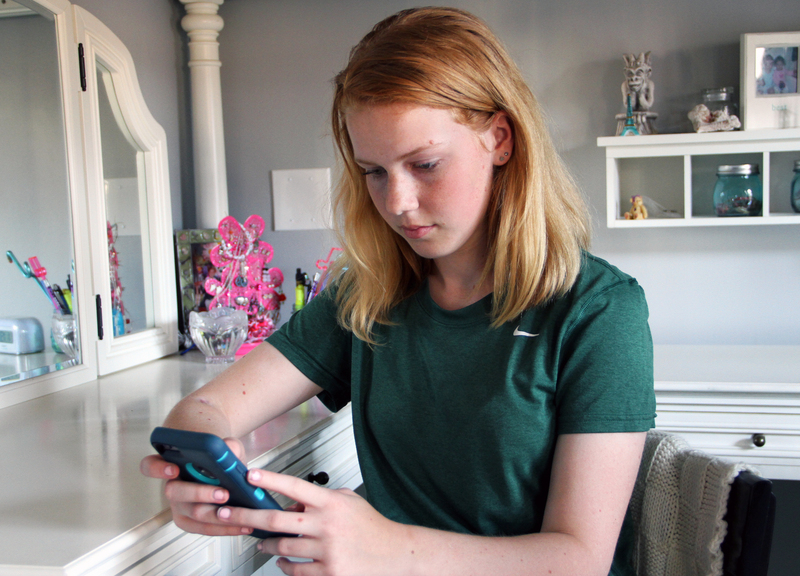 More than half of parents in the survey (64%) said they were likely to take phones away from their children while they recover, but Giza says keeping kids isolated and out of their social circles can lead to other problems, like anxiety and depression. 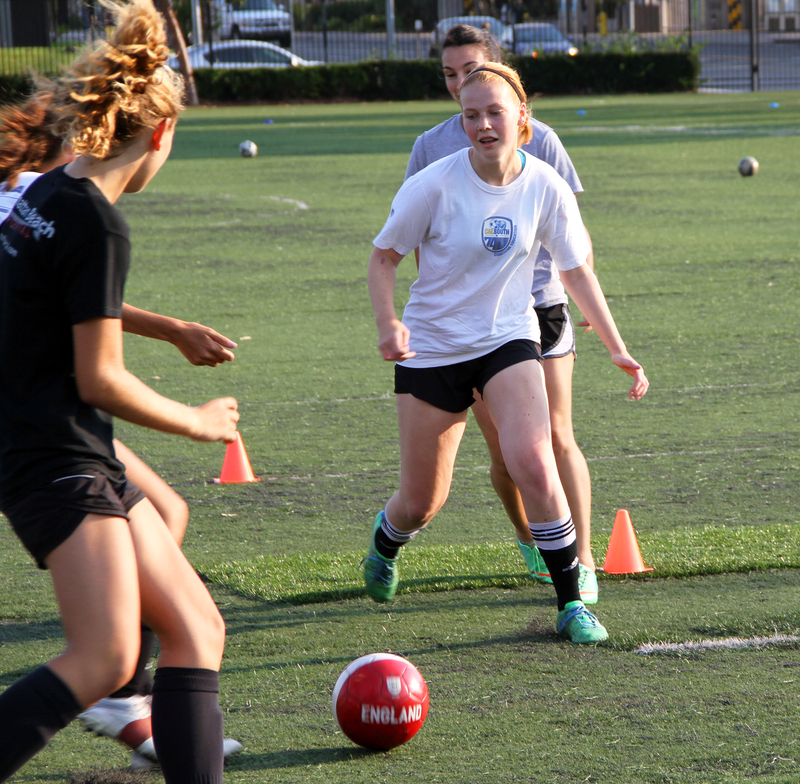 Kennedy Dierk, right, practices with her soccer team in El Segundo, CA. Dierk experienced debilitating headaches for months after colliding with an opponent and was diagnosed with post-concussion syndrome. 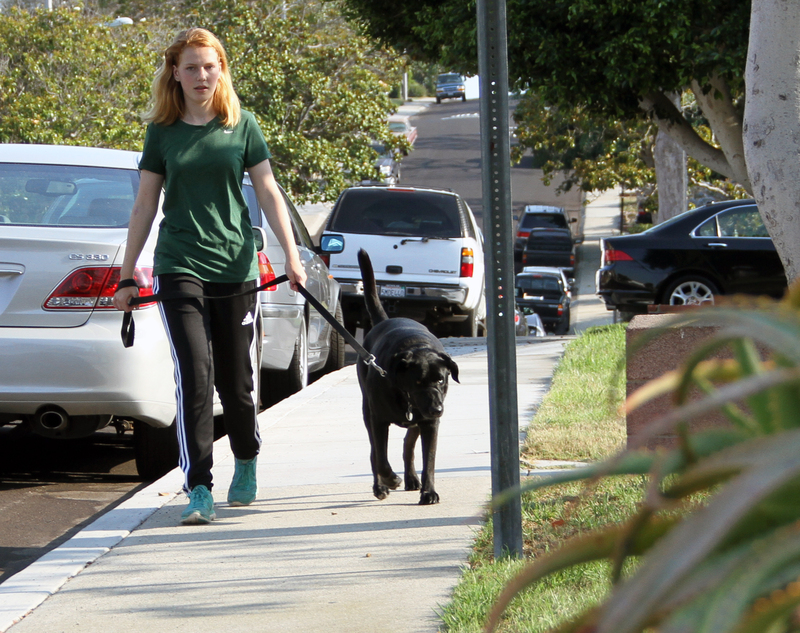 Kennedy Dierk, of El Segundo, CA, took her dog for walks while recovering from a concussion. Doctors say many parents restrict their kids` activity too long during the recovery process and should allow them to engage in gentle aerobic exercise. 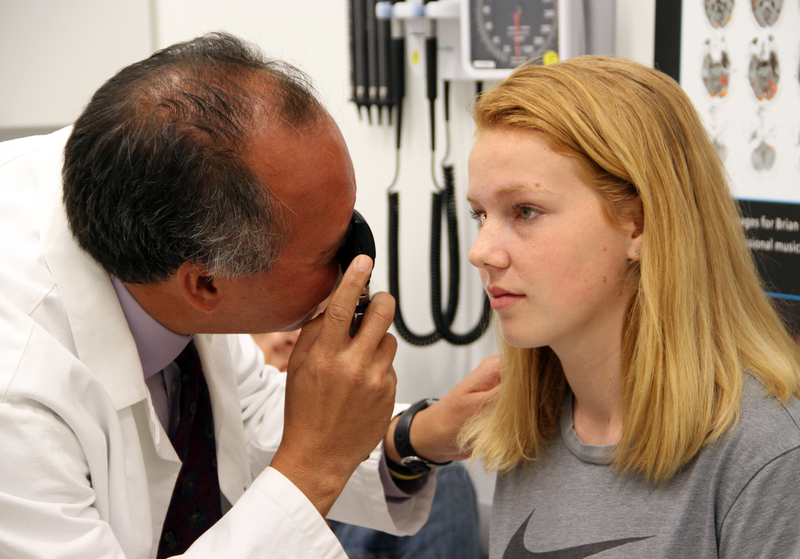 Dr. Christopher Giza of the UCLA Steve Tisch BrainSport Clinic examines 14-year old Kennedy Dierk after a concussion. A new UCLA survey reveals the majority of parents who care for children with concussions would follow outdated advice that may disrupt the healing process. 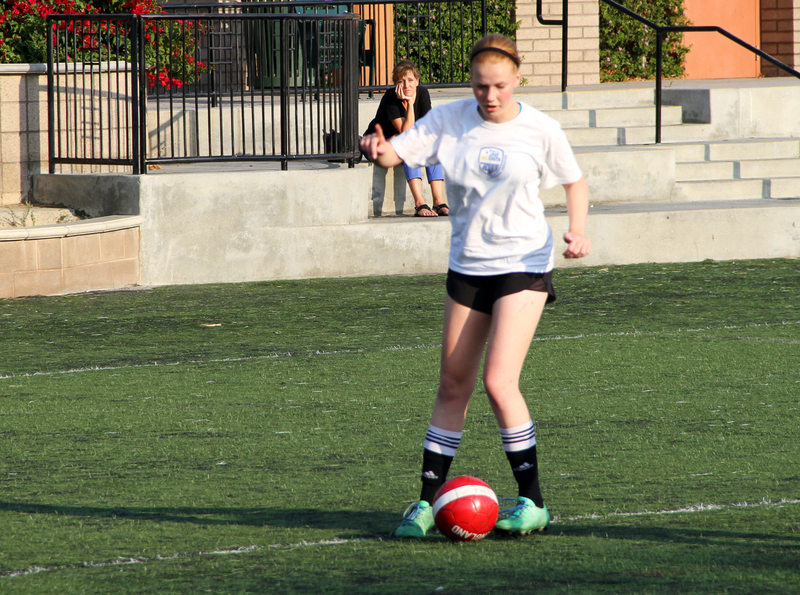 Dione Dierk watches her daughter Kennedy during soccer practice in El Segundo, CA. Kennedy collided with an opponent during a game and was diagnosed with post-concussion syndrome after suffering headaches that lingered for months. A new survey shows more than half of all parents would prevent children with concussions from engaging in screen time. But experts at UCLA say that could delay the healing process. Instead, they encourage socialization during the recovery period. Kennedy Dierk, 14, catches up on her schoolwork at her home in California. After Dierk suffered a concussion, doctors encouraged her to gradually resume her studies as soon as her symptoms allowed in order to speed up the healing process. 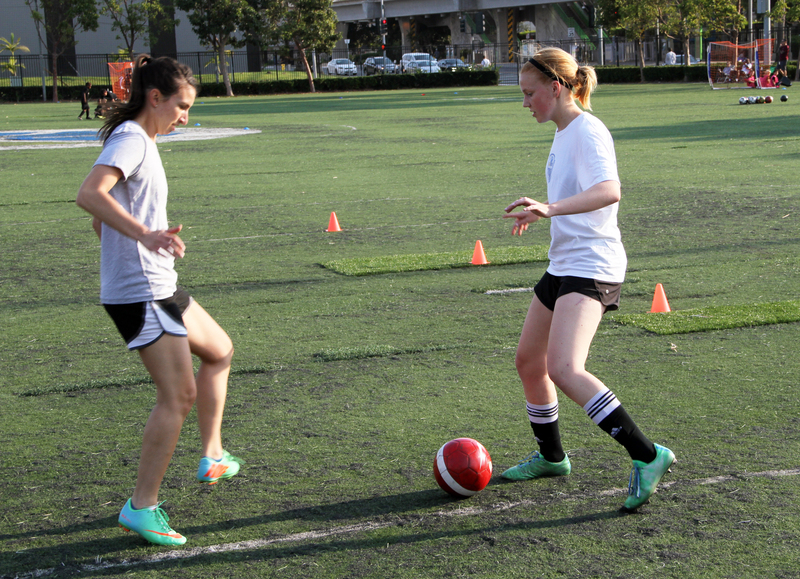 Kennedy Dierk, right, is back to playing soccer after a collision left her sidelined for weeks with post-concussion syndrome.